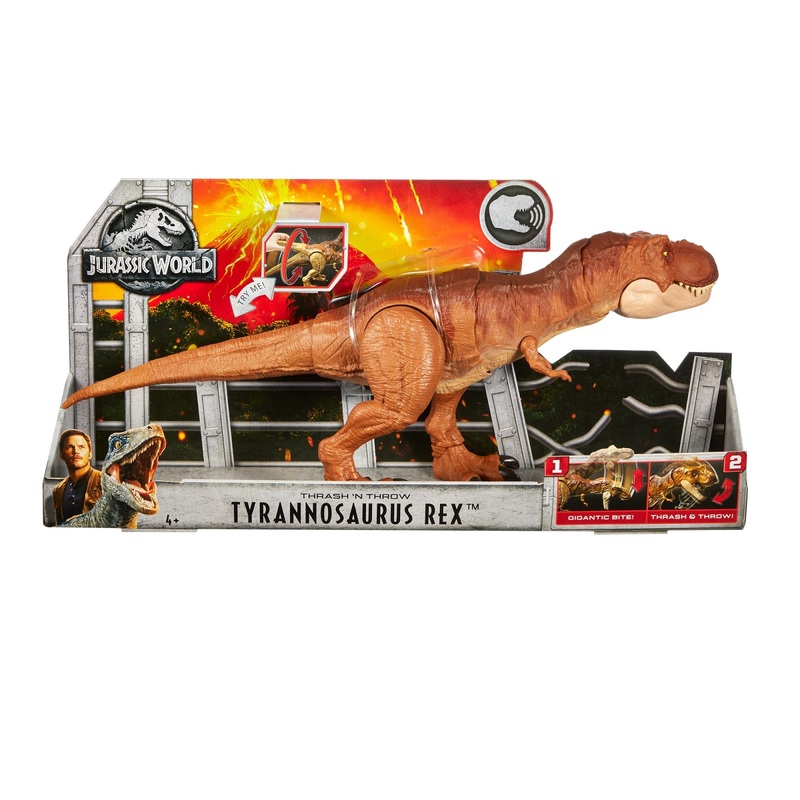 Walmart has the Jurassic World Thrash 'n Throw Tyrannosaurus Rex Dinosaur Figure on sale for $19.99, down from $39.99. Get ready for thrilling action and adventure with Jurassic World! Thrash 'n Throw Tyrannosaurus Rex is in the style of the fan-favorite character from the original Jurassic Park. 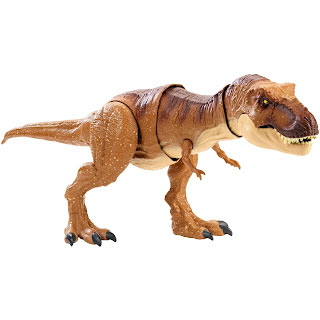 Now she's back and better than ever with awesome action features! In addition to authentic sculpt and decoration, Thrash 'n Throw Tyrannosaurus Rex has sound effect features like chomping and stomping, an impressive roar and a HUGE bite. 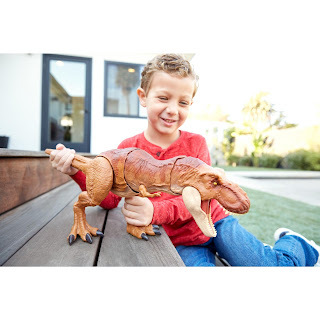 Use the tail activation to open mouth and pick up other human and dinosaur action figures, and then thrash and throw them across the room.